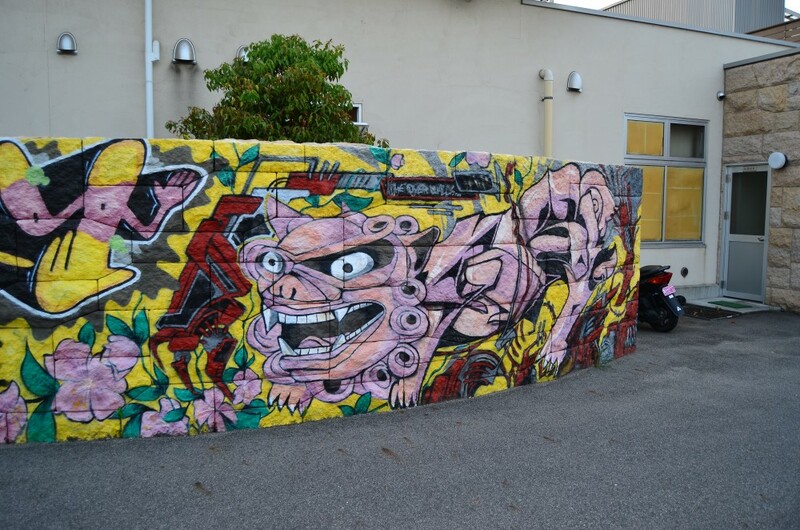 This graffiti painting is of komainu (at least I think it is). These are lion-dog statues that stand at the entrance to many Buddhist temples here in Japan. This drawing is at a local shop here in town, near one of my favorite restaurants. 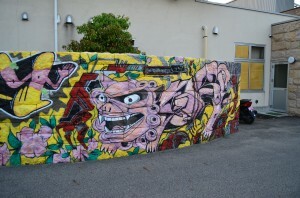 Just one of the many interesting artistic things around town!